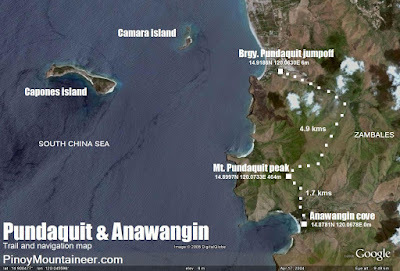 Although the usual way to Anawangin Cove is by pumpboat from Pundaquit, there is land route passing by a hilly area known interchangeably called Mt. Pundaquit and Mt. Anawangin. The trail passes by shrublands and grasslands, affording views of the nearby mountains. Medium-sized bamboo and ornamental-looking plants deck the paths, at times transforming the trail into a garden-like environment. 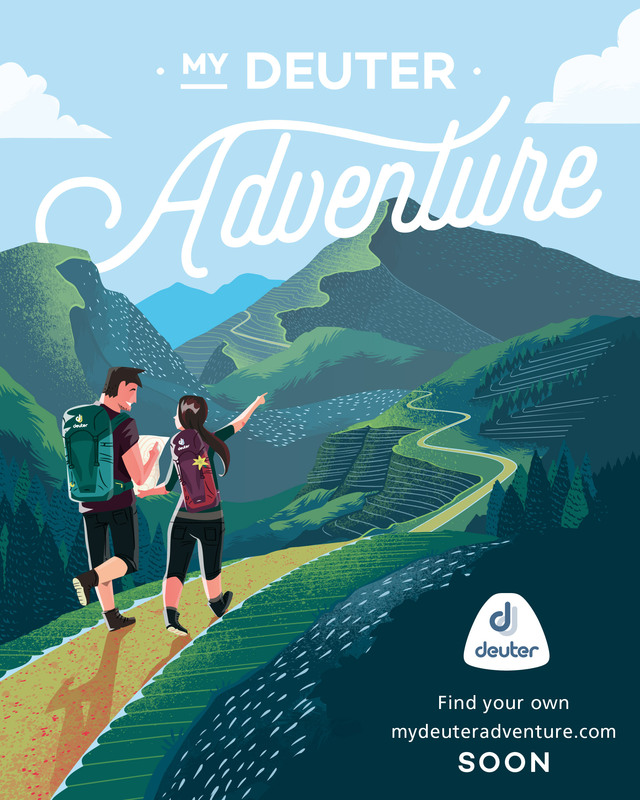 At first flat and then moderately steep, the midpoint of the trail is the summit of Mt. Pundaquit. The measured elevation here is 464 MASL. And then the descent goes to the Anawangin side of the mountain. According to the locals, the name Anawangin is derived from the Ilokano word ‘nuang’ which means carabao. The reason behind this are the wild, sometimes aggressive carabao that roam freely in the slopes. After 2-3 hours of descent, pine trees would herald the beach, which can glow into luminous white with the sunlight. Basic facilities such as a small store, shower rooms, and huts are in place in Anawangin even as the locals try to preserve its being ‘untouched’. The cove is perfect for camping also. From Anawangin Cove, you may head back to Pundaquit by pumpboat, or include nearby Capones island in your itinerary. Capones Island has beaches and an authentic Spanish-era lighthouse. Either way, you are 30 minutes away from Pundaquit. You can tidy up at the houses then proceed to Subic for a hearty meal. WARNING: Anawangin Cove must be visited with precaution. Several deaths have been reported with or without severe weather. Make sure rescue protocols are in place before proceeding. You may arrange for boats to Anawangin Cove/Capones Island and/or secure guides for the trek through Mang Alfring, at +639196498563. Boat rentals range from P800-1200/day depending on your itinerary. Capacity is around 4-5 persons per boat. Meanwhile, guide fee is P500 for the trek described in the itinerary above. 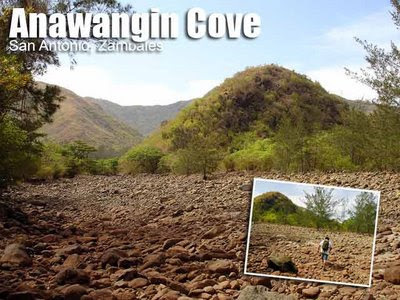 Water and food concerns: There is no potable water source in Anwangin cove; although for dayhikes your water needs may be fulfilled by the vendors at the cove, especially during weekends and/or peak season. If you are camping in Anawangin and taking the trek on the way, you may want to inform Mang Alfring or any local contact about your itinerary. Tell your contact that you need water and food to be delivered in Anawangin cove; make specific arrangements. He can then advise the vendors to bring water; or he can have the supplies transported via the boats that take other visitors to Anawangin. Anawangin Cove and the trek leading to it will expose the hiker to a lot of sunlight; sun protection is advised. Other than the precaution against the ‘nuang’ – in itself a rare encounter that the guides can take care of – the trek is pretty safe and easy. Precaution must be done, however, when swimming at Anawangin beach because high tide makes waters difficult. 264 Comments on "Anawangin Cove via Mt. 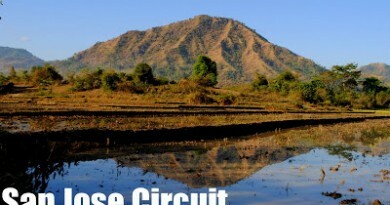 Pundaquit (464+)"
Do you offer travel package tour from Manila to Zambales? 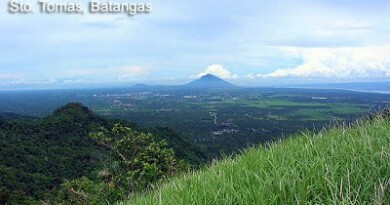 Me and my friends are planning to go in Zambales in the coming 3 weeks. Do you have any phone or cellphone so we can contact you? Thanks.